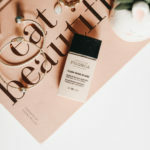 The Ren Moroccan Rose Gold Glow Dry Perfect Oil is super light and so hydrating. 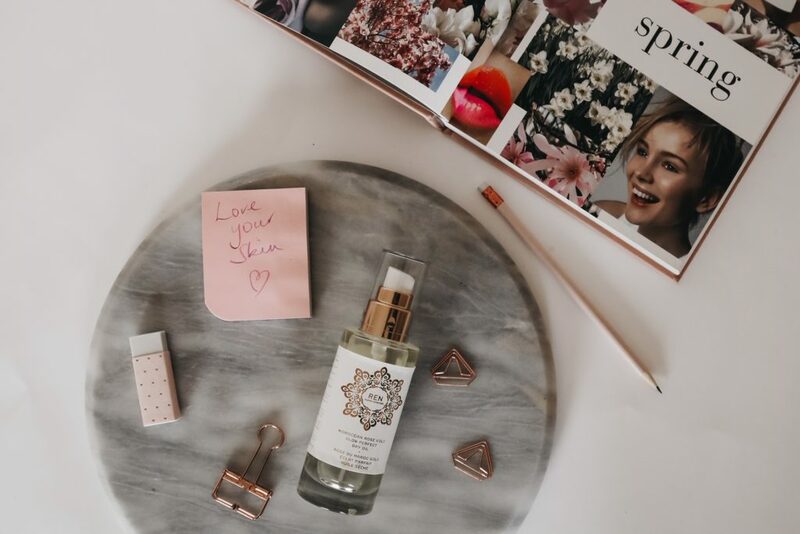 The key ingredient in the whole range is the Rose Damascena Oil that is harvested in the Atlas Mountains that captures the beauty of the rose. 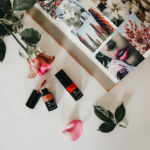 The oil smells amazing and really makes you feel amazing on application. Its formulated with 100% natural derived actives from Moroccan Argan Oil as well as the Rose Oil. As well as nourishing the body it also deeply conditions and protects not only your skin but your hair as well. Apply to the tips of your hair for a gorgeous glossy sheen. 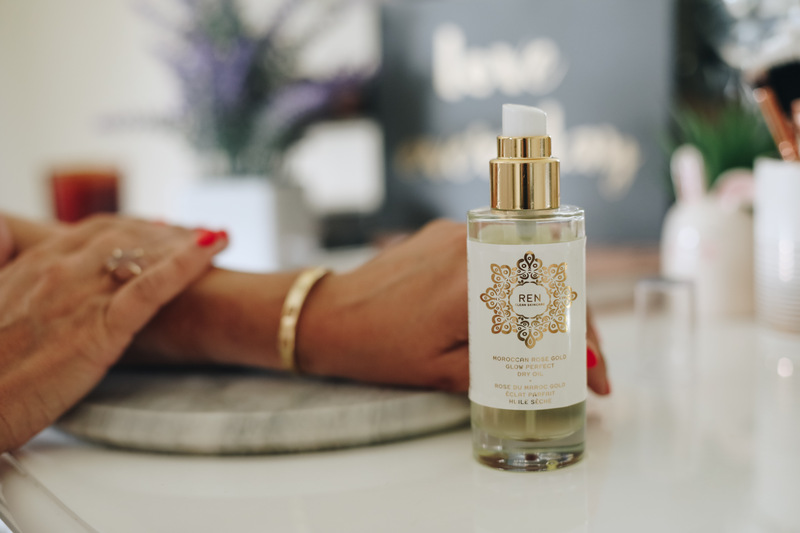 Omega 6 Linoleic Acid from Argan Oil, boosts the skin’s lipid content, protecting and strengthening upper layers to restore and lock in moisture to comfort, calm and soothe the skin. Tocotrienols from Cranberry Seed Oil defend against oxidative stress resulting from UV radiation. Liquid Wax leaves skin and hair with a silky sheen as well as conditioning the hair. The best way to apply is straight after your shower so that you lock the moisture in and get maximum hydration. The great thing is you can reapply in the day or at night if you want to get back that extra glow and make legs and arms look amazing. Plus its also got anti aging properties as it protects against oxidative damage. I need all the love I can get right now so this is here to stay for me. Spray and massage in all over and you have beautiful soft skin its that simple. Its actually become an important part on my morning routine after I shower. Even my husband has commented on how amazing my skin is looking and feeling. Available online on renskincare.co.za or woolworths retailing at R595 for 100ml bottle.